The VPN Lab - VPN Guides - Kodi Guides - Does VyprVPN Work With Kodi? VyprVPN is a Switzerland-based (but US-owned) VPN provider that features strong security options, lightning-fast speeds, a wide server network, and 24/7 customer support. This makes it an ideal choice for Kodi streamers, whether you enjoy an occasional movie or watch 10+ different TV shows at any given point. Kodi (previously known as XBMC) is a completely free and open-source homemade media center software that allows you to listen to music, watch movies, organize photos, play games, and much more. In theory, Kodi and VyprVPN go extremely well together, but are they really compatible? Keep reading to find out. Technically, a VPNs is not required if you just want to run Kodi without using its most popular add-ons. It is important to note that many of the highly coveted add-ons feature geo-restrictions, which makes them inaccessible in certain parts of the world. Reputable VPN providers will solve this problem by allowing you to change your virtual location and access any content from anywhere in the world. Also, without a VPN, your ISP (and many other online entities) will be able to monitor and record your Internet traffic. This won’t just include your activity in the web browser, like your search history, but absolutely all traffic from any app that’s connected to the Internet, which, of course, includes Kodi. VyprVPN does work with Kodi but requires manual setup. The company’s official website features a comprehensive instruction manual that’ll allow you to set up VyprVPN for OpenELEC (Linux-based OS built to run Kodi). 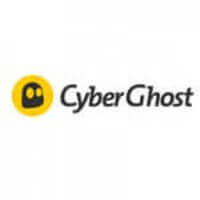 Note that Golden Frog (the company behind VyprVPN) only offers limited support for this platform. Furthermore, VyprVPN free accounts are limited to using the company’s proprietary apps to connect to the service. This means you’ll be able to use VyprVPN with Kodi only if you have a premium subscription. When Should I Use VyprVPN With Kodi? 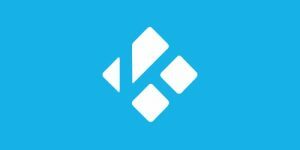 The general rule of thumb is – if you’re going to stream content on Kodi, connect to one of VyprVPN’s servers before launching the app. If, for whatever reason, you don’t want to use your VPN all the time, at least use it when you need to bypass geo-restrictions for certain add-ons and when you’re using add-ons that source content from torrents. 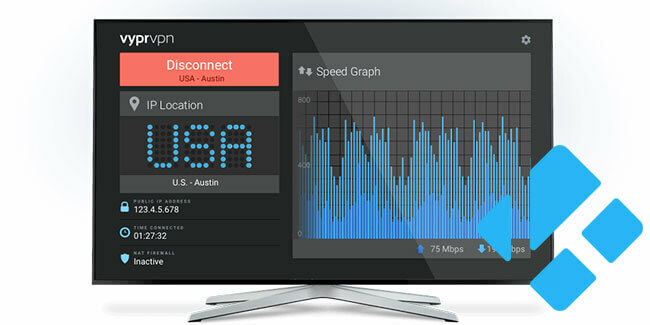 VyprVPN will prevent your ISP and other malicious third parties from reading your traffic and monitoring, logging or selling your download/streaming activity. The company does not keep activity logs, but it does hold connection logs. It encrypts your traffic via AES-256 cipher, which is also used by the military and financial institutions. VyprVPN will also protect you against DNS leaks and it comes with a convenient and reliable auto killswitch feature designed to disconnect you from the Internet if something incapacitates your VPN.